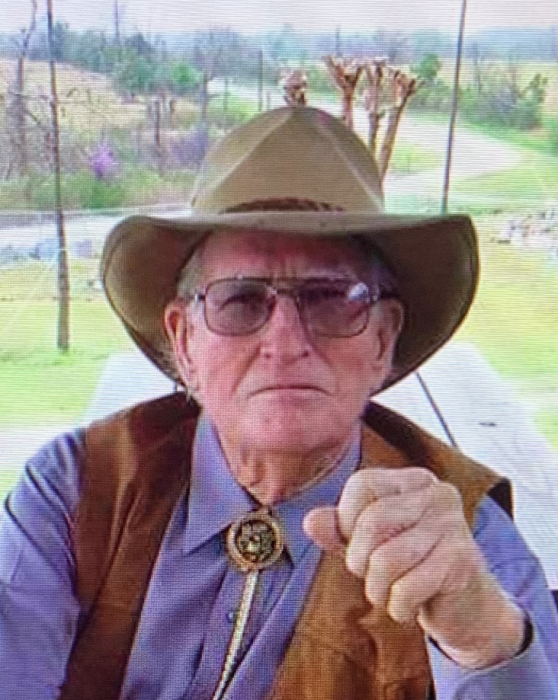 James Clayton Corley, 86, went to be with his Lord and Savior at home on February 4, 2019. He was a lifelong resident of Okolona, MS. Clayton was born February 10, 1932. He believed in hard work and was a lifetime farmer. He established his Dairy in 1954 while still working at Futorian. The Dairy closed in 2009. Among other jobs, he was the grounds keeper at the Okolona County Club for several years. Clayton loved the Lord and loved to sing. He attended church and lead the music at Mt. Olive Baptist Church. He was recognized for twelve straight years of continuous attendance. Currently he was a longtime member of the First Baptist Church of Okolona. Clayton was loved and respected by his family and many dear friends. Funeral services will be held Wednesday, February 6, 2019 at 2:00 PM at the First Baptist Church in Okolona. Visitation will take place from 12:00 PM to Service Time Wednesday, February 6, 2019 at the First Baptist Church as well. Rev. Randy Lewman and Keith Carter will be officiating with a private family committal following the service at Boone’s Chapel Cemetery. Clayton is survived by his wife of 65 years, Lottie Cornelia Rodgers Corley. Four children: James (Eddie) Corley (Debbie), Elizabeth Ann Cook (Marion), Carolyn Diane Black (Billy), Brenda Leigh Humphrey (Dana). Three brothers: William Corley (Jeanne), Douglas Corley (Carlene), and Rev. Kenneth Corley (Glenda). One sister: Martha Cole (Stewart). Eight grandchildren: Hunter Corley, Benjamin Corley, John Corley, Keith Carter, Dusty McHenry, Brooke Seymore, Josh Humphrey and Callie Grace Humphrey and Numerous Great-Grandchildren. Clayton was preceded in death by his parents: James William (Jimmy) and Alice Pilgreen Corley, Two sisters: Janelle Riddle and Frances Allen, One brother: Robert Corley. Pallbearers will be Hunter Corley, Benjamin Corley, John Corley, Josh Humphrey, Tyler Corley, and Reid Carter. Memorial donations may be made to First Baptist Church, 201 West Main Street, Okolona, MS 38860 or Mt. Olive Baptist Church, 515 CR 157, Okolona, MS 38860. Condolences may be e-mailed to hollandfuneraldirectors@comcast.net.